That next great idea could very well be lurking in the mind of a Park City teenage, somewhere between the folds of physics homework and the latest Netflix marathon. 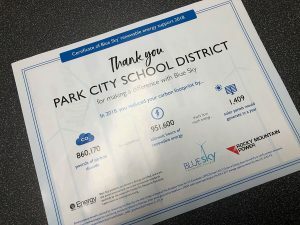 And the Park City School District has a plan to get the idea on paper and into implementation, using the PCCAPS program to partner high school juniors and seniors with business entrepreneurs and Utah companies. From guest lecturers to semester-long projects, the newest program pairs students with real world projects, anything ranging from developing an iPhone application to engineering a computer system to strategizing on the global business level, the program focuses on offering actual experience outside the classroom. And as an added bonus, the classes may offer between two and four college credits. "People are excited," said Jennifer Jackenthal, the PCCAPS Program Director. "Students get the real world experiences they need, something that will set them apart on college and job applications and in life. Businesses get access to the digital natives, a new generation that allows them to stay relevant." Set to launch in fall 2013, the program is accepting registration, and school district administration and teachers will offer information about CAPS or Center for Advanced Professional Studies. The program is broken into five categories: technology solutions, interactive media, engineering, global business and teacher education for future classrooms. "There is nothing like this in the state," Jackenthal said. "Real companies will be working with real students, creating a project." 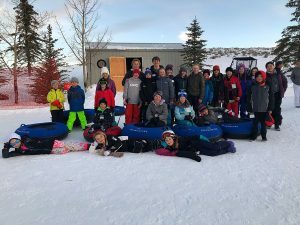 Following months of development, time spent building partnerships with local and state businesses and surveying parent and student interest, Jackenthal has pulled in major businesses including Adobe, Backcountry and RAMP Skis. The first applications to register for the program are trickling into Jackenthal’s office, the PCCAPS Program Director. Students were able to Skype with another CAPS program in Kansas, the only other one in the country. 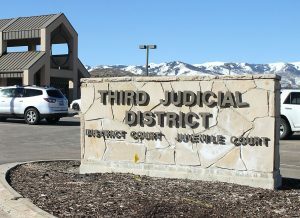 "I’m interested in meeting with clients," said Park City High School junior Jens Dewell. "After talking with them, I can work on a problem or take on a project. I will need to find the most efficient and best way to get it done." "I thought it was a great program," he added, "but I didn’t know it was so scarce. Right now, it is just us and one other high school." Dewell is not alone in his excitement to start next fall. Fellow junior Sarah Lamphier said she was torn between focusing on technology or business, but she was sure there would be good experience either way. "In high school, everything is hypothetical," Lamphier said. "In the program, we will be dealing with actual problems, and solving them. It will be about completing real tasks and projects. "I think it will help with college because it puts me one step ahead on business experience, I think I will be able to look at projects in new way, handle it on a more mature level." 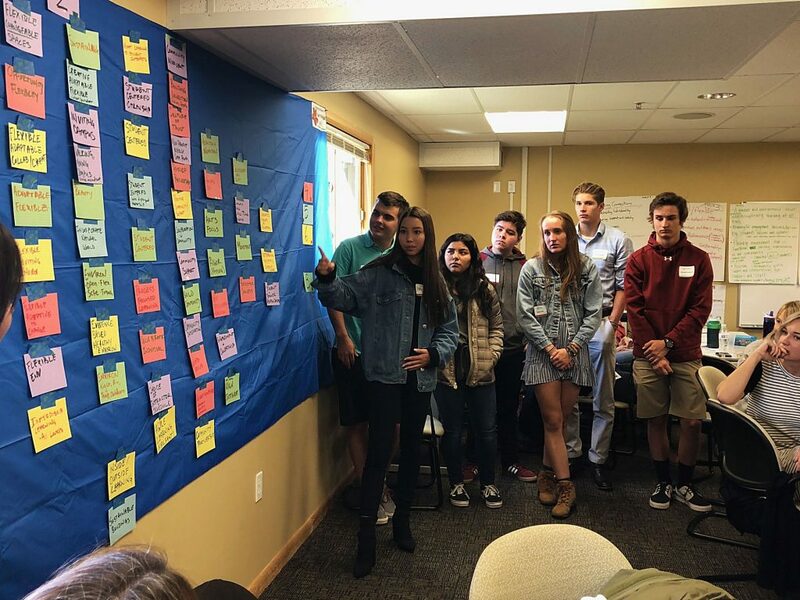 A major part of the program is to introduce possible career paths to high school students before leaving for college, an alternative to the more traditional career fair or college major selection. Roughly 80 percent of inbound college freshmen have no idea what they will major in, according to national statistic cited through PCCAPS, and more than 50 percent will change their major at least one time during their college years. "We need to help fix that," Jackenthal said. " Our goal is not to put them into a career path. We want them to understand the potential career paths out there, what the business world really has to offer." "We are exposing them to the possibilities, the opportunities that are out there." Many of the partnerships can result in internships, even careers at some point in the future. During the Skype session last week, PCHS student AJ Carpenter said he was intrigued how a Kansas CAPS student created an application that is now for sale and making money quickly on the android phone market. "That was surprising," he said, "He was so successful when he was done with the class. That was the real eye-opener." "You could actually make impact on the community," he added, "where it is not just credit for a class. You can prepare for future, get those business skills you can’t in the classroom." Students interested in registering for PCCAPS must submit an online application through the PCSD website. Space in the program is limited. Brochures will also be delivered to Park City High School students at home in the next 10 days. Information nights, an opportunity to hear from Jackenthal is scheduled for Wednesday, Feb. 27 and Monday, March 3 at the PCHS Lecture Hall from 6 to 7 p.m. For more information, visit caps.pcschools.us.